Note: The QODBC message, SDK message and Detail Trace Log file could always help to quickly locate the issue of QODBC itself. Below is an instruction on how to locate them for troubleshooting. 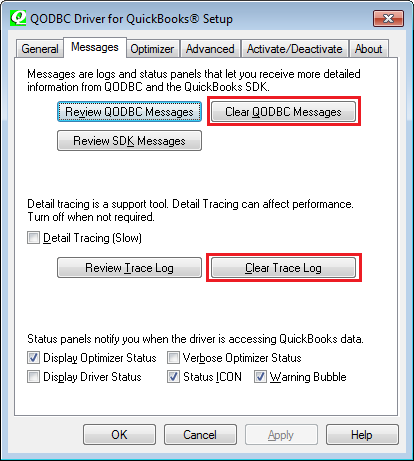 First, open your QODBC setup program in QODBC Drive for QuickBooks groups -> Messages Tab, press "Clear QODBC Messages" and "Clear Trace Log" button to clear all the previous messages. 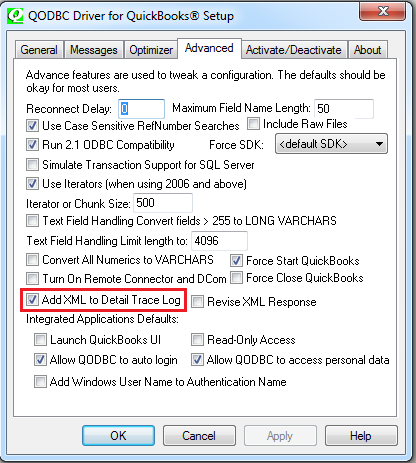 Note: You could also save the existing Logs "QODBC Messages" & "Review Trace Log" before the clearing. Run your routine activities and take a screenshot of the error as soon as you encounter the issue, and save the logs i.e. QODBC Setup Screen-> Messages -> "Review QODBC Messages"
QODBC Setup Screen-> Messages -> "Review SDK Messages"
QODBC Setup Screen-> Messages -> "Review Trace Log"
as separate text files and send them to the Technical Support Person for further investigations. After that, please Uncheck the "Detail Tracking Log" option. 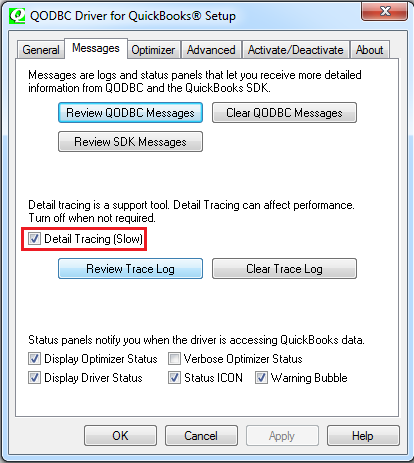 Note: Detail Tracing (Slow) creates a trace log of exactly what QODBC is doing in the background with the application and is used for debugging purposes. Make sure the log is turned off when not needed as these logs can use up large amounts of disk space. 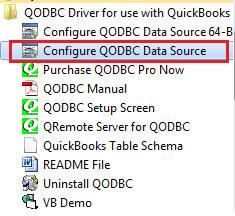 Manually locate QODBC & QuickBooks SDK log files. 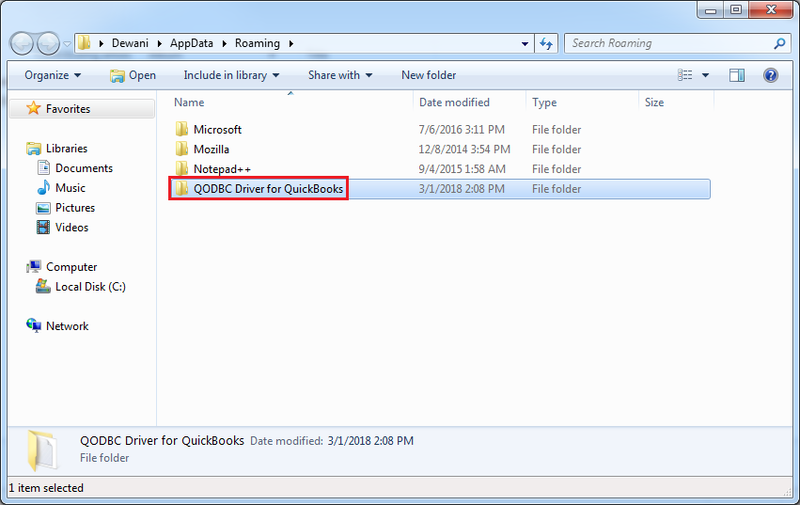 The QODBC Desktop Log file can be located at User's Roaming Profile Folder. 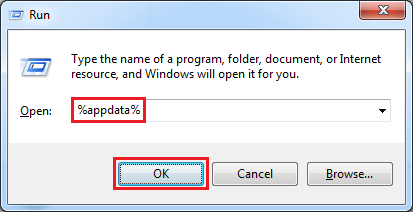 Enter %appdata% & click "OK". You will find "QODBC Driver for QuickBooks" folder under "Roaming" folder. Open folder to locate the logs. 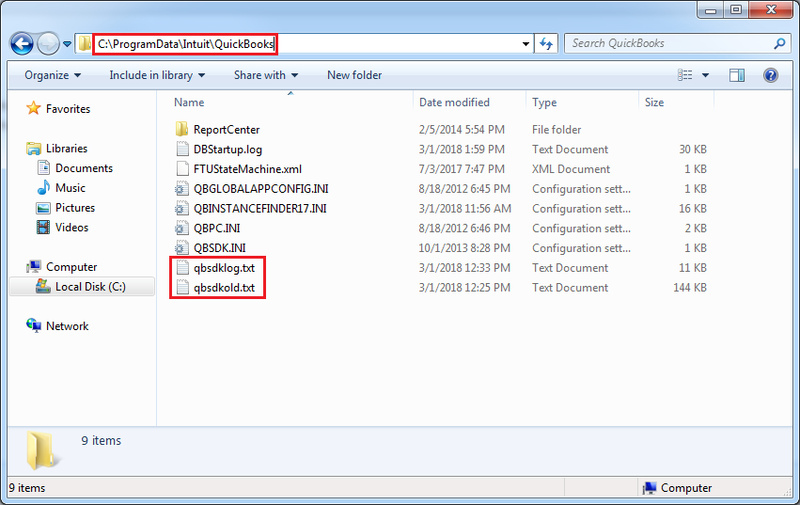 You can locate QuickBooks SDK logs from C:\ProgramData\Intuit\QuickBooks folder. The QODBC POS Log file can be located at User's Roaming Profile Folder. You will find "QODBC Driver for QuickBooks POS" folder under "Roaming" folder. Open folder to locate the logs. 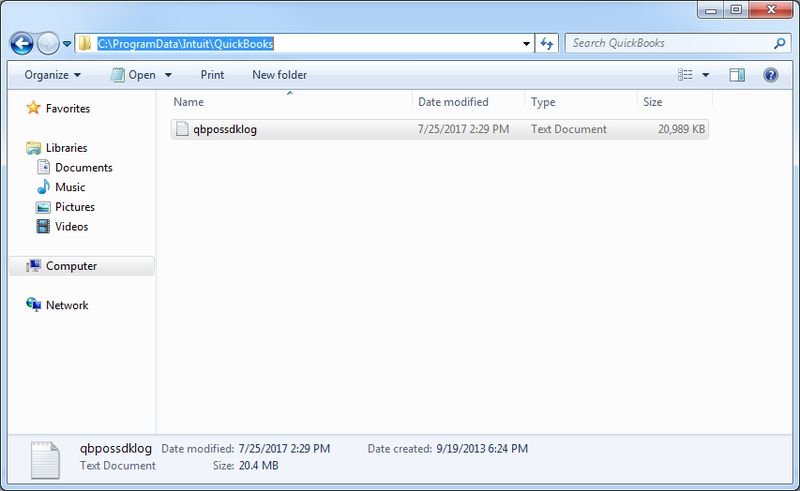 You can locate QuickBooks POS SDK logs from C:\ProgramData\Intuit\QuickBooks folder. 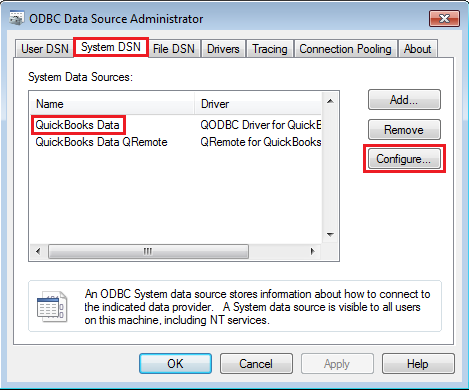 The QODBC Online Log file can be located at User's Roaming Profile Folder. 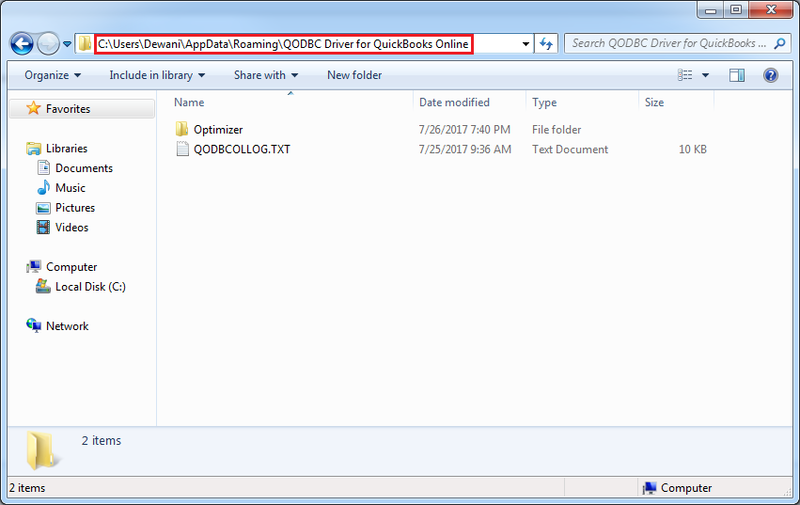 You will find "QODBC Driver for QuickBooks Online" folder under "Roaming" folder. Open folder to locate the logs. There is no QuickBooks Online API logs generated.